Sign up for NETRF news and information. 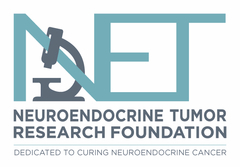 NETRF news: Updates on research, treatment, self-care, and educational events. Researcher info: Grant opportunities, awards, scientific symposium. Supporting the search for a cure. Yes, NETRF can use information about which articles I click on to read to help improve the quality of the newsletter for all subscribers.